We're back with landscaping walls 3. 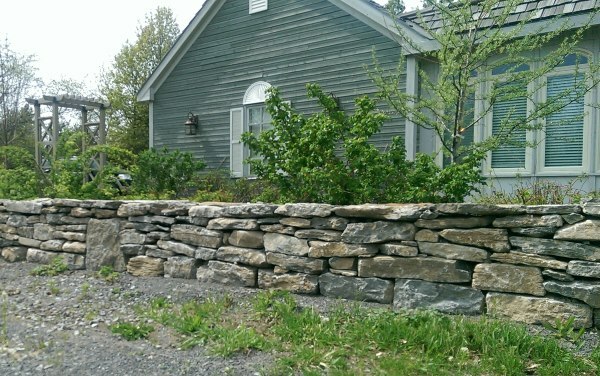 If you are looking for retaining wall ideas, and stone wall pictures, you've come to the right place. Don't forget that we also have a helpful DIY how to module on how to build a stone wall. We have an endless supply of picture ideas we'll be adding to the site as we continue to grow. Dream-yard also has over 200 pages of helpful information from landscape design help to specific how to modules. The best way to navigate our site is by using our site map. You can also check us out on Pinterest where we have over 17,000 pictures to browse through on our specifically categorized boards including more retaining walls and stone wall ideas. Click on the follow us link in the side bar and join nearly 200,000 others that find landscaping inspiration from our boards. Thanks for visiting us and enjoy the site. 2 long ironstone walls create different levels in this front yard. A large block This large manufactured block retaining wall was engineered to level the front yard avoiding a steep slope to mow between properties. 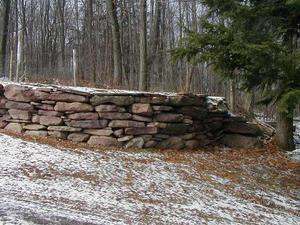 A large block stone wall has a unique look using flagstone as caps. A roughly built fieldstone wall adds character to this private country home. are a great way to tame small slopes. 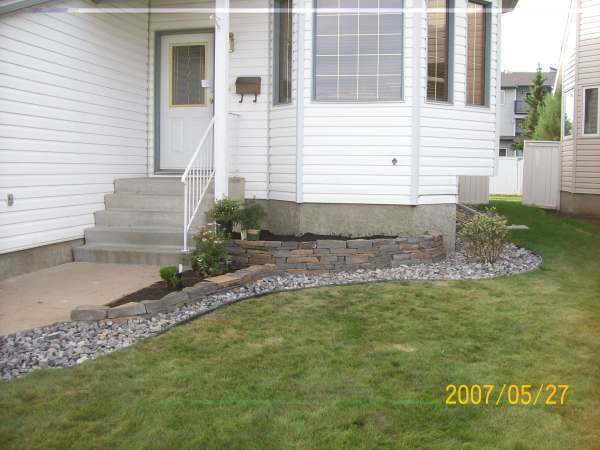 A small front garden bed made with natural stone dresses up the front yard while hiding the concrete foundation. interest to a property in the winter months. 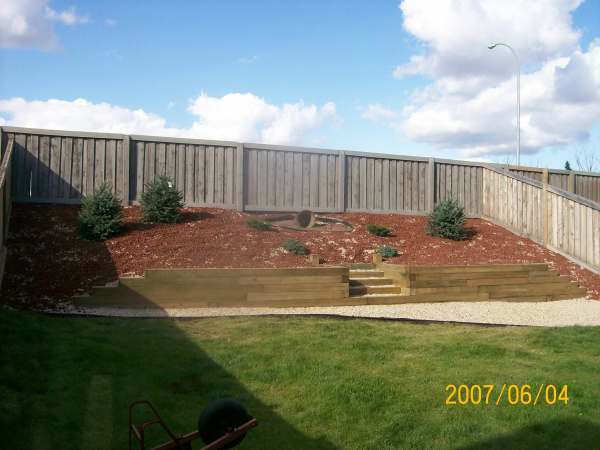 This steep slope is retained with an anchored wall using landscaping timbers. Fabric was applied to the hill and decorative rocks and shrubs were planted. 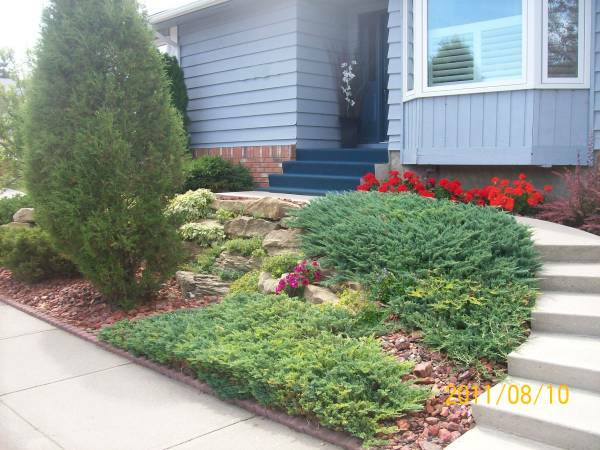 The stairs add interest and allow access to the shrubs. 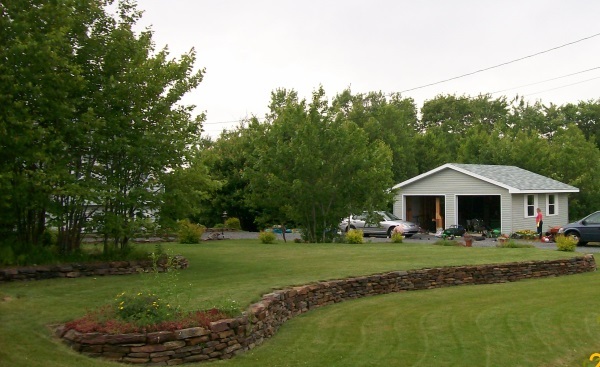 A mixed fieldstone wall provides a nice barrier to this front of this country property. 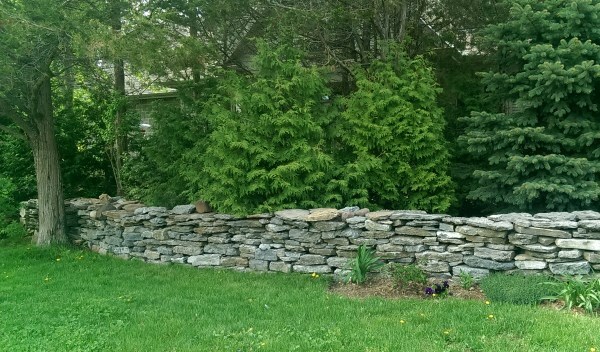 A fieldstone wall provides a nice border around this established older yard of conifers. 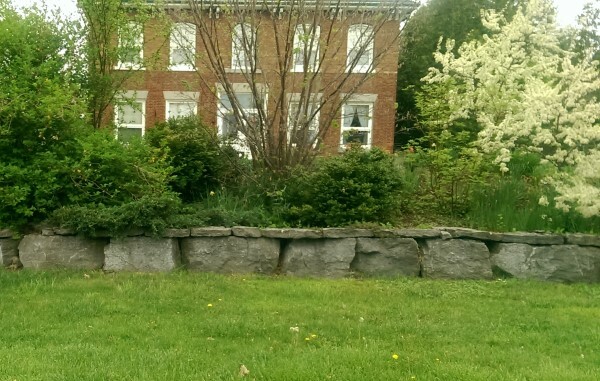 A manufactured block retaining wall makes for a great raised garden bed. Block bands tie the block wall into the concrete patio. 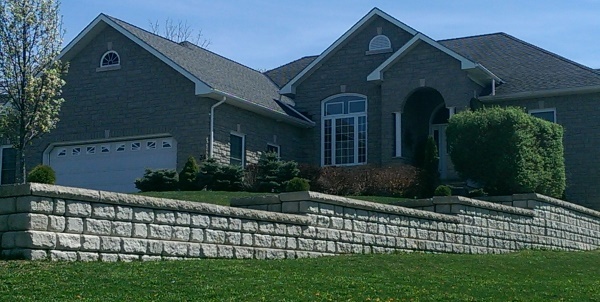 A large block stone retaining wall is used to deal with a steep slope down to the lower patio area and the dock on this cottage property.